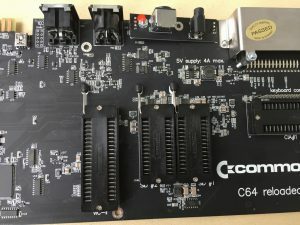 This is my C64 Reloaded MK2 board from Individual Computers The board is equipped with black ZIF sockets. 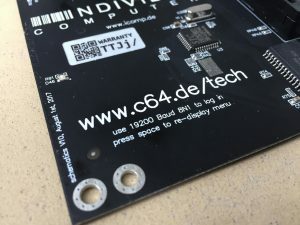 Users have to populate the board with their own chips. 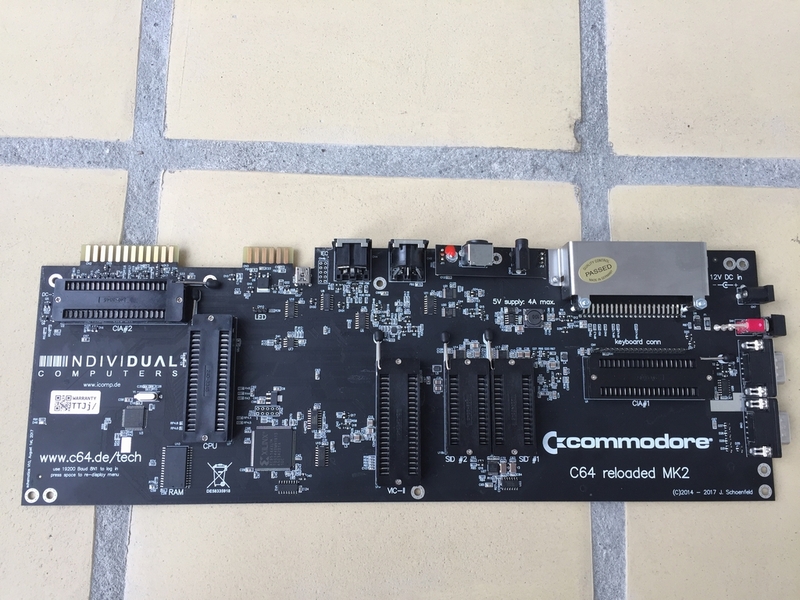 I plan to use the following original Commodore chips: CPU (MOS 6510), CIA’s (MOS 6526), SID’s (MOS 6581 and 8580R5) and a VIC-II (MOS 6569R5). 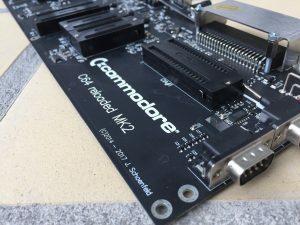 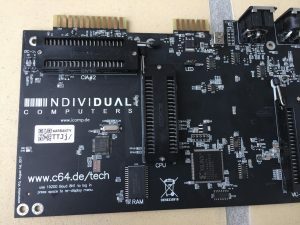 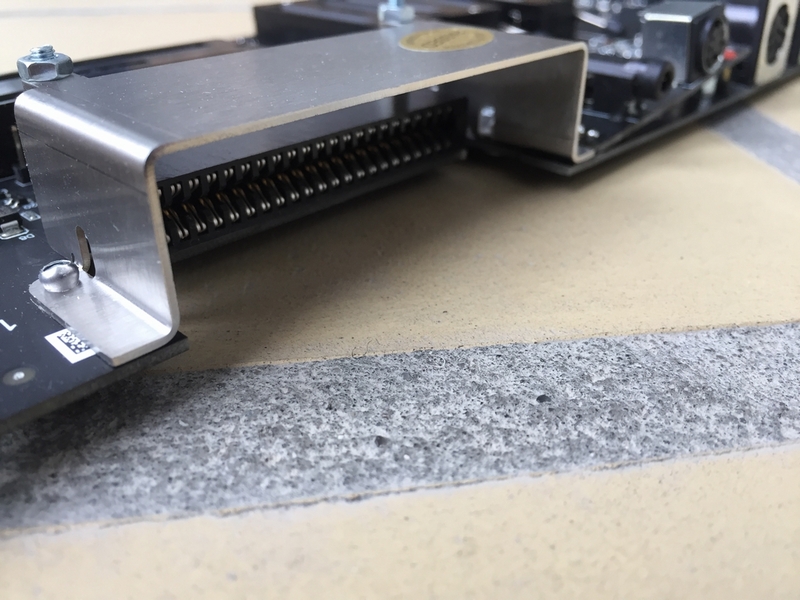 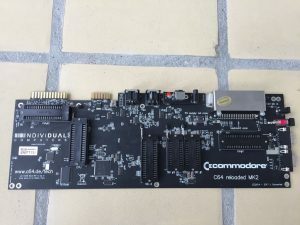 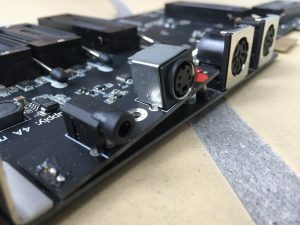 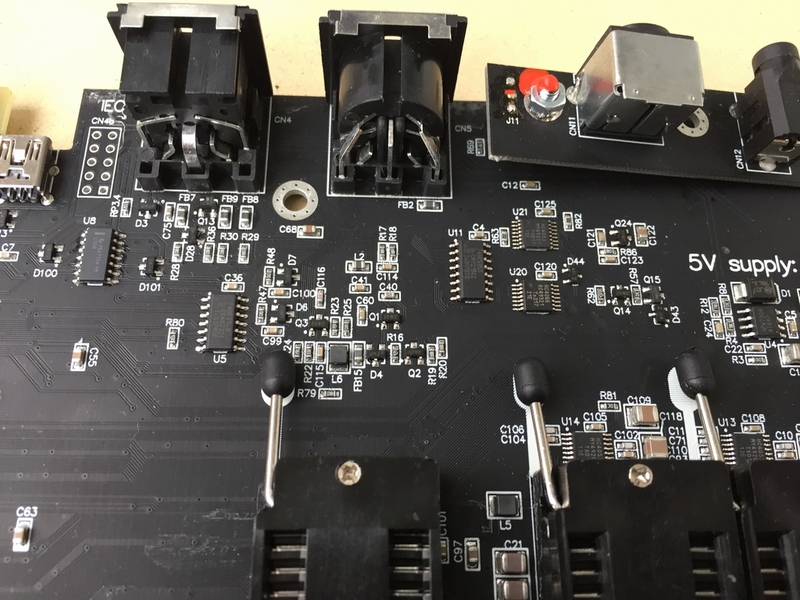 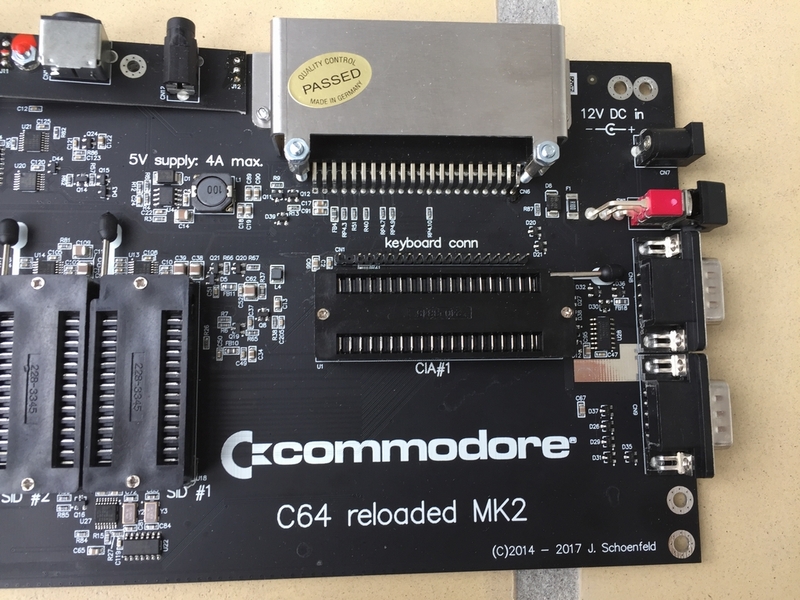 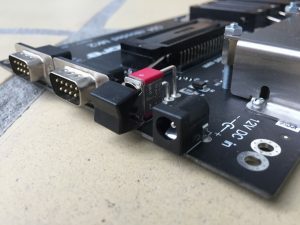 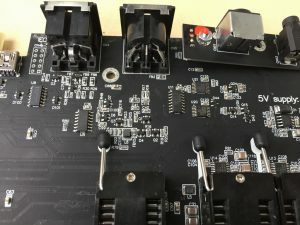 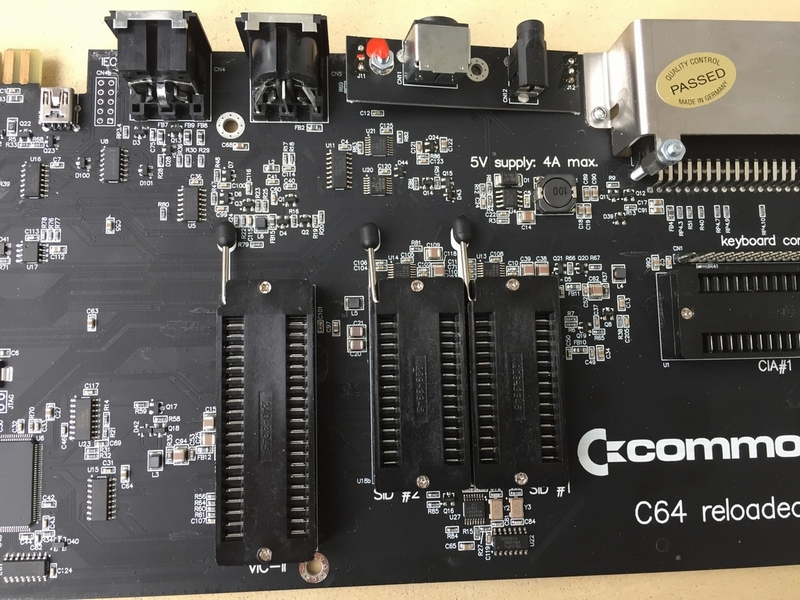 The machine differs from the first version of the C64 reloaded boards (link, link) in several areas: it does not need a PLA nor a CSG8701 timing generator and up to two SID chips can be installed. 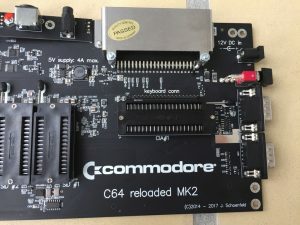 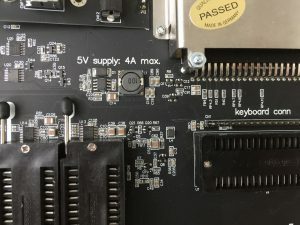 All installed chips are detected atutomatically meaning that the Commodore 64 Reloaded MK2 is a completely jumper-free design. 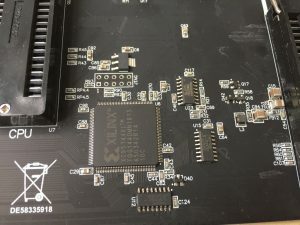 Furthermore, all ROMs are held in a user-writable flash ROM. Using an USB cable and a terminal program, the C64 Reloaded MK2 can be flashed with custom Kernal ROMs like JiffyDOS. 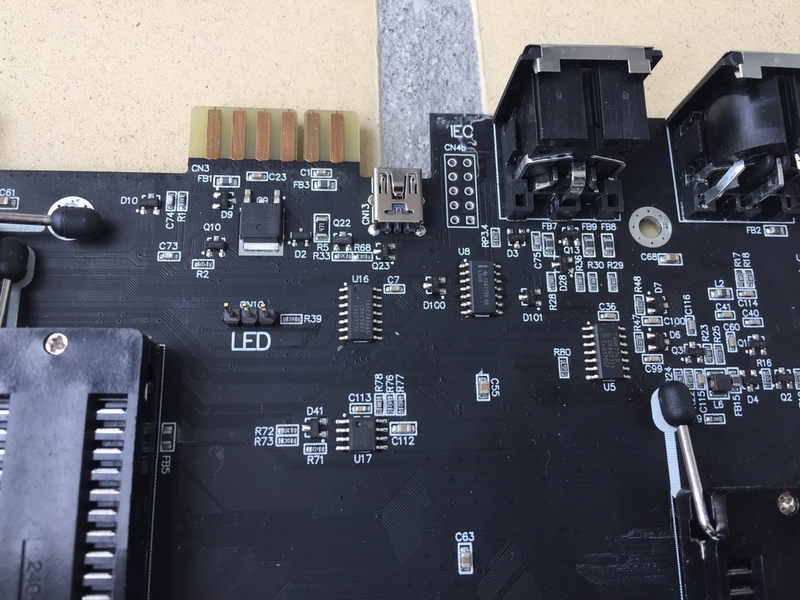 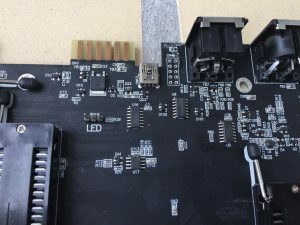 Here are a bunch of pictures of the board before any chips have been installed.